Armenians answer the call ! Shnor agal em... I applaud your efforts to share your knoweldge with us . I agree our forfathers should have done better records keeping and maped Armenia's borders with deligence. History is very crucial in my opinion and to let it unchalleged to lies or revisionism is not justified. For example and you might not agree Palisitian historians challenge the Jews and funny thing is they have archives to claim validity, Offcourse Israel being stronger and media outlets to help their cause squashed Palistinian idendity. They claim other tribes where their ancient enemies and Arabs never validated their version... Farce ! So, Let's protect Armenian History and never let others to be the experts when it comes to Armenia. Thanks for telling me but there work is pure crap, there is nothing good about it there nationalist historians who make it look like or where we descended from were only Armenians, and its revisioned crap like this shouldn't exist if they are so "good" with there crappy theories we would see this everywhere yet we don't its for Armenians who like to dream alot, and don't want to go further. Facing facts are hard sometimes. ARARAT...ARATTA --The Land of the Mountains Where the Gods Live of the great Epic of Gilgamesh. The Land where the Garden of Eden -- the Tree of Life and the Tree of Wisdom is located...the Twin peaks of Mashu - the SYMBOL of the holy Cosmic Mountain. When many of us hear this name we picture the birth and rebirth of humanity and human civilization in the sacred land in the highlands of ARMANIA. The Bible also recounts the ancient stories of Genesis, including the Paradise [Birth of Humanity] and also the Rebirth of Humanity in the sacred Mountains of the Land of Ararat, the holy land where the resurrection of the human race took place. The Twin Peaks of Mount Ararat are in the heart of Armenia, and from a bipolar geographical objective one can argue that of the world. They are symbolic of the Holy Mountains of the Land of Aratta/Ararat/Ararad [Kuti-Guti-mountain range in the Sumerian inscriptions and the Al-Judi of the later Islamic writings] -- the location of Ararad in the Korduk Province in the southern section of the Armenian Plateau [The Twin Peak Masis in the Ayrarat Province being the SYMBOL of Armenia-Ararat -- Land of the Holy Mountains]. Since times immemorial Ararat [also Ayrarat in Armenian sources, Aratta in Sumerian inscriptions, Urartu in Assyrian inscriptions and Ararat in Hebrew sources] has been a Holy Mountain and a Holy land for the peoples of the ancient world. The Sumerians that were of Armenid extraction had established one of the first centers of civilization in the lower part of Mesopotamia. From the very first foundations in the sixth millennium BC, the Armenic Sumerians grew over a period of 3000 years to become the most sophisticated society on EArth. As was ably demonstrated by Samuel Noah Kramer in his classic work History Begins in Sumer, the number of 'firsts' attributed to the Sumerians is virtually endless. They designed the first colored pottery. They conducted the first medical operations. They made the first musical instruments. They introduced the first veterinary skills and developed the first written language. They also became highly accomplished engineers, mathematicians, librarians, authors, archivists, judges and priests. They were the descendants of the shamanic high priests of ARMAN-ARAM of Subartu-Aratta of Metsamor [Great Mother's], Ur-Hai [Urfa, later Edessa the ORION center], Harran, Göbekli Tepe [Navel Mountain -- translation of ancient Arman name associated with Female+Male union], Nevali Çori, Çayonü and Çatal Huyuk. 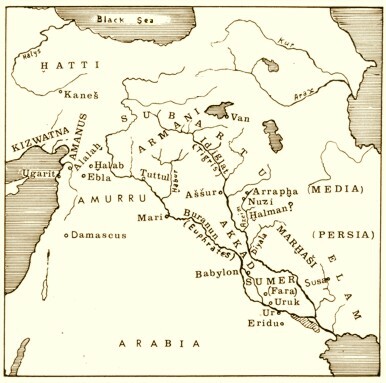 Most scholars agree that Sumerians initially inhabited Armenian Highland and gradually descended to first Northern Mesopotamia and eventually spread further south, establishing the cities of Ur [excavated by Sir Leonard Wooley in the 1920s], Uruk and Eridu [note the sacred AR-MAN variations -- AR-UR-ER-OR prefix]. Fortunately a number of Sumerian inscriptions dating from somewhere between 2750 and 2500 BC have been preserved. They give us a fascinating glimpse into the Sumerian origins and culture. In the great Epic of Gilgamesh, the Sumerians recount the land of their ancestors, the Arattans in the Highlands of Armenia. Most scholars agree that Aratta [Suburi - Sumerians also known as Suberians and called themselves Shinar[ar]s] was in fact the first Indo-European state that existed in the first half of the third millennium BC. I wonder which is the official version our historians claim to be valid, What was the orgins of Armens? Is it possible Krikor Losavoritch erased any solid evidence to our past? I hope it's not the case... Christianty was cultural suicide in my opinion not to say I'm not a beliver ! We claim to be desedents of Noah and Armenia was rebirth of modern civilization but how much of it is crediable, History is revised from different points of view to enhance or dispute one's existence... Armenians need to clear the fog once in for all and vigoursley hold on to ancestrial legacy which we embrace without hesitation. 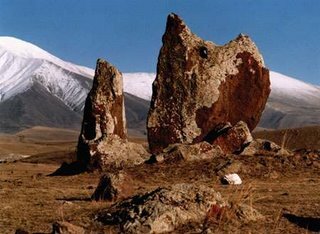 Around 200km from Yerevan, the capital of the Republic of Armenia, not far from the town of Sisian, there is a Prehistoric Monument consisting of hundreds of Standing Stones on a territorial area of approximately 7 hectares. Many of these stones have smooth angled holes of 4 to 5cm in diameter, the angles of the holes being directed at different points on the horizon and outer space. Professor Paris Herouni, a member of the Armenian National Academy of Science and President of the Radiophysics Research Institute in Yerevan, has undertaken a series of scientific expeditions, starting from 1994 (four days each occasion), the timing of these expeditions being at equinox and solstice days. The objective of this research was to investigate and try to solve the mysteries of this Monument. • many unique astronomic instruments consisting of one, two or three Stones were identified, and using these, many observations of the Sun, Moon and stars at their rising, setting and culmination moments, were made. Research to date has established that the name of the Monument was carahunge (“Speaking Stones”). The age of Carahunge has been estimated to be 7500 years or older (VI millennium BC). This was accurately ascertained by taking readings of the motion of the Sun, Moon and stars, using four independent astronomical methods based on the laws of the changes of the Earth’s axis precession and incline. 4). to serve as a University. (The Armenian scientists of old, during the time of Carahunge, could accurately measure latitude; knew that the Earth was ball-shaped; that its radius was equal to 6300km; had an accurate calendar, etc). These scientists also planned and were involved in the implementation of other well known ancient Monuments, such as the Great Pyramid in Egypt (3000 years “younger” than Carahunge); Stonehenge in England (3500 years “younger”); and others. Many of these Monuments retain until now, a link with the original Armenian name, e.g. Stonehenge, which has the same connotation as Carahunge, because “stone” in Armenian is “kar” and “henge” (a word which is absent in English) is the same “hunge” (voice, sound, echo in Armenian).Another example is Callanish in Scotland (Luis island in North Gebrids), because “kal” = “car”, “nish” in Armenian is “sign” and Luis is “light”. The same principle applies to the name given to the standing Stones in Carnac in Brittany (France), in Egypt, etc.Finally, it must be very interesting to our readers that many of the world’s well known ancient Monuments were built in definite and equal latitudinal distances from Karahunge. 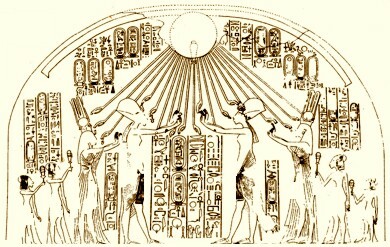 For example, the latitude difference between Karahunge and Stonehenge is about +10°; Karahunge and the Great Pyramid is about –10°; between Carahunge,Kallanish and the oldest Egyptian observatory and Temple of the Principal God RA (AR), near present Assuan, is ±16°.Armenian scientists of old knew mathematics, geometry, written language, astronomy, philosophy, etc. There were laws and order in existence, and Armenia was a Kingdom with dynasties. Carahunge confirms that Armenia was the first civilization on Earth, propagated knowledge and kindness everywhere and was the cradle of Indo-Europeans and Indo- European languages. Revelation 21 and many other places in the "Bible" mention the Solar (Arev) temple, which is from the Armenian Highlands. The solar temple pattern with the exact 4 sides/seasons/winds of heaven 3 months in each of the 4 seasons, the solar (Arev) temple. UNBROKEN MILLENNIA OLD SYMBOLISM. ROYAL FAMILY OF CILICIAN ARMENIA. This summer (August 11) marks the 4,500 year of Navasard (Haik's calendar). 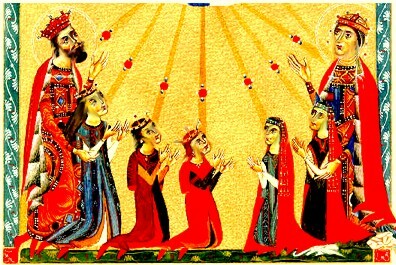 Haik (Orion) in ancient times in Armenia is the Sun of righteousness rising with healing in his wings. (Malachi 4 and many other chapters of the "Bible" taken from ancient writings) The 4 sides and 3 middle stars of Haik/Orion represent the 4 seasons and 3 months in each season, making the total of the 12 months. The 12 signs of the zodiac go around the same pattern 3 months, 4 seasons. Haik/Orion represents the Sun (Ar or Arev) rising with healing in his wings. Precession is shown in the lunar cycle of the 4 weeks (7's) 3 in each. The moon goes through the 12 signs, 2 half days in each sign completing the month. The 4 weeks (7's) make the ancient cross (khatch) symbol which shows the precession cycle. 3 signs of the 12 are in each of the 4 (7's)weeks. Going through the moon phases like how the swaying of precession would be from new moon, half moon, quarter moon, half again, and new again. Each 1000 years is a day so 2 half days is 2000 half years which it goes through of the 12 signs 2 half days in a month. So also the 2 meaning male and female 1000 in each. The cycle of life is like the seasons in a year. We go through darkness in winter and rise to life again at spring. The same with the Sun rising at Spring representing rebirth of life and path to eternal life. Armeni Sumerian records written ca. 2,700 BC, tells us the story of the Great Flood and the rebirth of Life [the Tree of Life or the Garden [Partez - Paradise - the main motif in the Armenian-Hurrian Mitanni and Araratian reliefs] of Eden located in Armenia - the Land of Four Rivers. Edited by Yervant1, 11 January 2012 - 03:48 PM. According to him Armenians were one of 3 ancient allien civilizations here on earth, They are still around "Pleiadeans/Plejarens"
Atleast you might get a laugh or two !!! Edited by MadArmo, 19 March 2007 - 02:17 AM. But off coarse. We DID start life on Earth. Mu and Lemuria were Armenian, and Atlantis was in Lake Van. Yeah, yeah. We are UFO's. Not to forget that we descsended from that Titanic also known as the Noah's Ark with such extinct creatures as the dinosaurs. Dear Zartonk, et al. We love you.Not to divert your "course/direction". Please allow me to correct one thing that seems to pervade all over. It is not “Of COARse,” neither it is “off coarse“, nor it is “off coarse“ The latter may best mean “off the main topic/direction“. The phrase is “of cOUrse” whatever it may mean, except that we know that “cOArse” means rough while “cOUrse” may mean “direction”. How it fits? I don’t know, except that I know the phrase is “OF COURSE”, perhaps an abbreviation of “as a matter OF COURSE/direction“. (BTW. “course” to mean direction comes from the Latin “currere/to run”, French “courir“. Another, unrelated? stumbling block maybe, even if I have not seen it of late, is the Latin phrase “per se” which means “as of//according to this” , written as “per say”. Edited by Arpa, 19 March 2007 - 09:00 AM. Not to forget the Egyptian god RA. I guess tghose Egyptians were dyslexic. They read AR as RA. I appreaciate the laughs... And Harut jan I agree It's bizzare to hear some of these things today, People lack proper research and buy into the crap they read on the net. These claims are out right garbage not to mention straight out of a comic book chapter !!! Yeah, yeah. We are UFO's. Not to forget that we descsended from that Titanic also known as the Noah's Ark goof.gif goof.gif with such extinct creatures as the dinosaurs. This is 8:00 in the morning, at school, right after completing my "home"work essay. My apologies to everyone. You know I vould newer mispel aneethign hear. And anshusht (one of my favorite Armenian words) you know, mornings are hard. They even have a modern cult. They go by The RAmones. What? You didn't know that the RAmones were of the ARMENIAN ARMAN solar cult AR ARARICH???? Edited by Eurocentric, 20 March 2007 - 06:53 AM.